But Vince and Tyler should. Of the EF team here, Al is really the writer – he’s poured a fair bit of work into it and has learned well the first principle that is taught in comedic writing subjects. I am now prepared to offer it to you for free. Ready? Writing comedy is hard work. It’s hard because the things that make us laugh in the context of the classroom, or the sports field, or passing the bong around the circle, are not the things that make us laugh when we watch it on the screen… unless we’re passing the bong around the screen, but even that’s not a guarantee. Writing comedy is hard because no other genre is as subject to the prejudices of an audience. People are more likely to find the same things depressing or fist-pumping awesome than they are to find the same things funny. This truth is plastered across YouTube and all the other tubes that give the average joe an opportunity to find their superstardom online. You’ve seen them: the guys who are convinced that doing forty minute film reviews dressed as Catwoman, or reenacting their favorite Saturday Night Live skits, or allowing themselves to be repeatedly punched in the balls by a friend in a cheap gorilla costume are deserving of an Academy Award in the new category of Most Outstanding Candid Moment of a Comedic Moron. Fortunately Vince Foster and Tyler Haines understand this principle too, and they’ve put in the hard work. 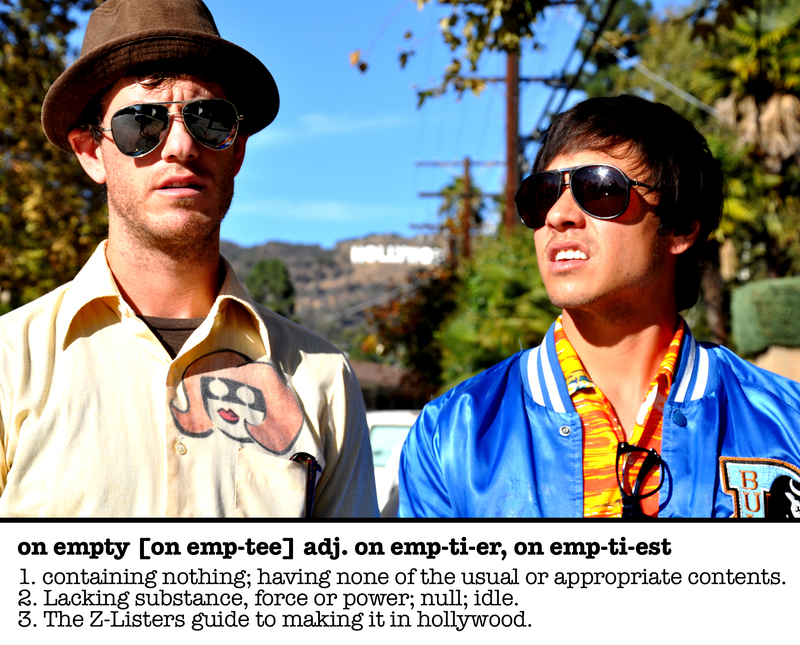 On Empty is funny; more than that, it’s pretty damn good. They haven’t wasted time and energy in making elaborate camera setups, or figuring out how to give everyone lightsabres using adobe after effects. 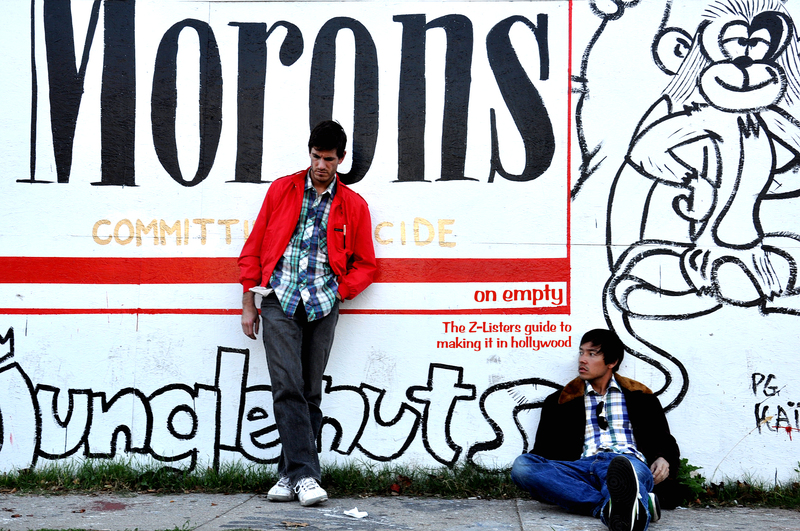 No they’ve poured their energy into the most important aspect of web comedy – the writing. Then they’ve completely committed themselves to the roles they play, and they make it work. The premise couldn’t be simpler: Two friends attempt to get into acting. The characters are a stock standard of comedy: both of them dim-witted, but adorably naive and inspiringly optimistic. That they aren’t any more original only shows the strength of the writers here – there’s not the time in 7 minutes of footage to really get into developing characters, so the best way to get to effective comedy is if the audience is able to recognise them pretty much from the beginning. This accomplished, everyone’s ready to just buckle up and enjoy the incredibly awkward ride into show business (maybe). In the first episode, Vince and Tyler attempt to get some footage of themselves by the Hollywood sign, and end up trespassing. In episode two they attempt to gain representation through the most prestigious talent firm in Hollywood without an appointment, a reference or a clue. In episode three they get stuck on the South Side. The whole season is an exercise in watching these two lovably ignorant schlubs get themselves into a brilliantly awkward mess, all the while convinced that their belief is enough to get them to the top. Vince and Tyler don’t operate in a vacuum; every episode they interact with others who are much like themselves… some even more deluded. Every guest they have on does a fantastic job of approaching the whole thing as a candid documentary, and so every performance feels very natural. It’s only the situations themselves that give away the absurdity of it all. Some of the interactions they have at the gates of studios and offices of talent agencies are encounters in the Borat vein, but they wisely don’t overuse this and keep a tight control on the ‘story’. Listen up people: please, please check this out – this is what YouTube was made for. This is how to do it right. Don’t treat it as a “how to make a web series” playbook – just enjoy it. 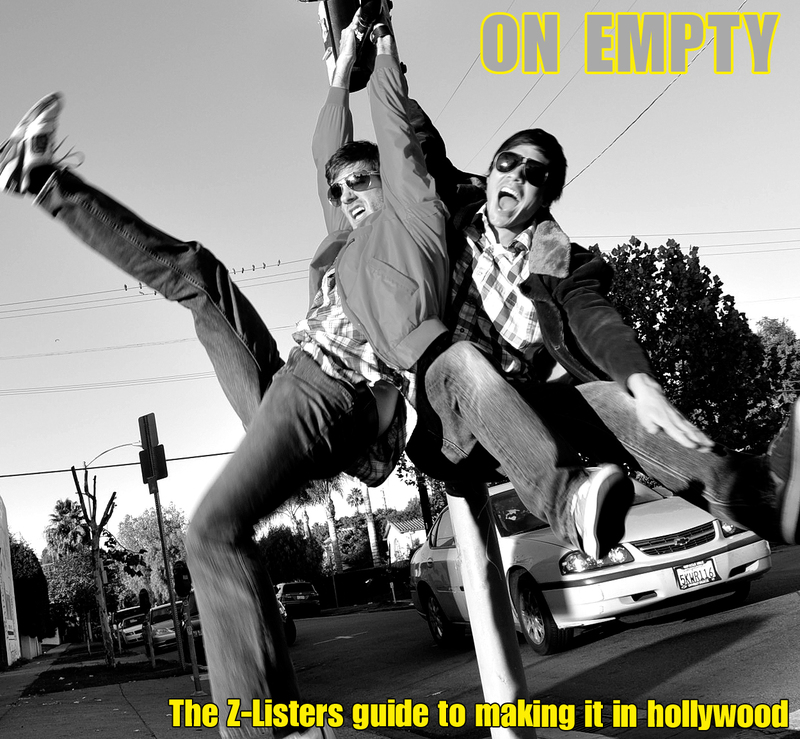 After reading this review of On Empty, I found myself wondering if you’d like to review another webshow. My name is Oliver and I’m the writer/co-producer of Sweet Fever, a series with candy, comedy and professional pillow fighting. Our website has teasers, four episodes and plenty of other information to draw from for a review – however, myself and the director (Mark Zanin) are more than open to any additional questions you might have. We’d also be comfortable if you’d like to use any of our behind-the-scenes photographs from the show’s Flikr account. Our first season is six episodes long and we’re trying to raise awareness of the show for all the usual reasons, any help in that regard would be greatly appreciated! P.S. Sorry to bug you in the comments like this, but I couldn’t find any contact info on the site.